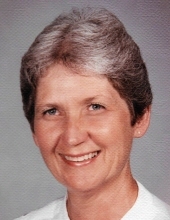 A funeral mass celebrating the life of Carol Swift, 82, will be held 11 A.M., Wednesday, March 27, 2019 at St. Elizabeth Ann Seton Catholic Church in Madisonville. Father Mark Kusmirek will officiate the service, and burial will follow in Allphin Cemetery in rural Madison County. A brief visitation will take place Wednesday morning from 10 A.M. to service time at the church. Carol Ann Swift was born July 2, 1936 and passed away March 20, 2019. To send flowers or a remembrance gift to the family of Carol Ann Swift, please visit our Tribute Store. "Email Address" would like to share the life celebration of Carol Ann Swift. Click on the "link" to go to share a favorite memory or leave a condolence message for the family.